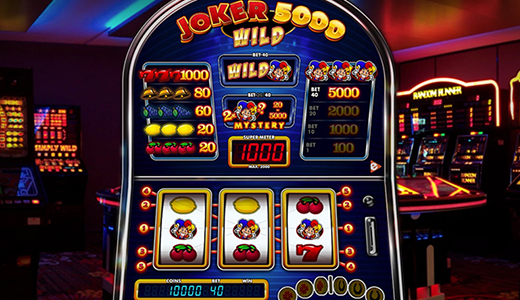 Play Joker 5000 Wild online for free now! Everything was better in the past, right? Not necessarily but in terms of action many old school slots are one step ahead compared to some ostentatious newcomers! 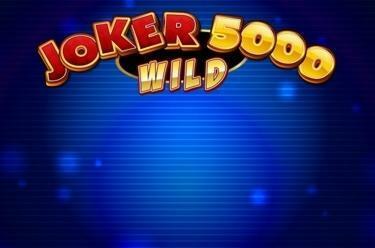 Joker 5000 Wild merges Vegas vibes with cutting-edge gameplay - what more do you want? Check out this fascinating game for yourself on 3 reels and 5 win lines! 3 identical symbols on one of the win lines running from left to right in the basic game will already top up your account with Twists. If you earn enough winnings to reach the Super Game Mode - with a little luck - you rake it in big time! The Joker scores the highest winnings - not just in the basic game. If the Joker lands twice on the reels in Super Game Mode at a betting level of 20 or 40 he earns you a random Mystery win. Moreover, at a betting level of 40 the Joker turns into a Wild symbol that can substitute for all symbols to complete winning lines. This feature is triggered at a betting level of 10 in the basic game. On this occasion you can transfer your winnings to the “Super Meter” (the display is visible directly above the reels). After that you play with a betting level of 20 or 40 and you enjoy greater winning chances thanks to the Joker (see “Bonus Symbols”). Looks can be deceiving - well, not in this case because Joker 5000 Wild looks and feels like a Las Vegas gambling hall! And in the spirit of Vegas this action-packed game features a Super Game Mode which - with a little luck - grants you huge Twist winnings. Your joy will know no bounds if the cheeky Joker smiles at you twice in Super Game Mode!